I picked up this dress while sightseeing in NYC and it's quite quickly become a fall fav :) The fabric isn't heavy which makes for a great fall day-dress but also pairs so well with trench jackets like styled above. And at under $100, how can you go wrong? love this look! 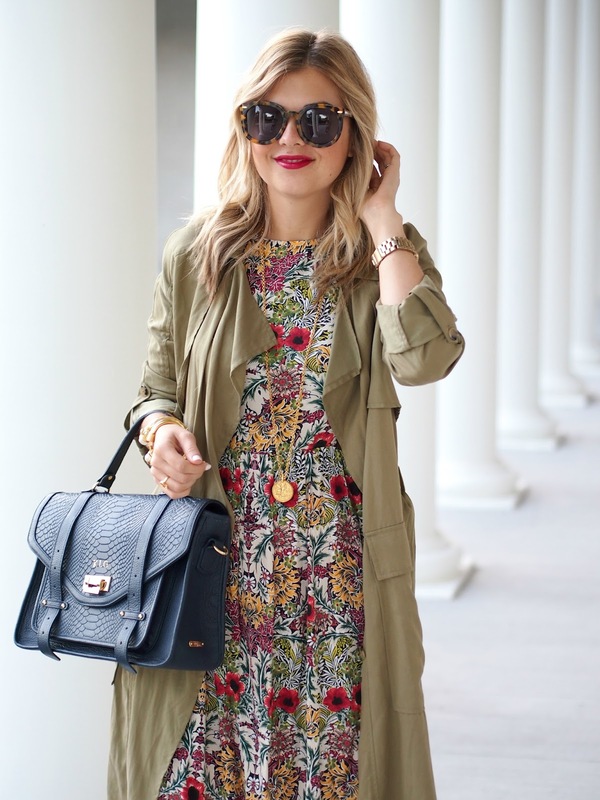 the trench goes perfect with the dress! I love the colors in your Topshop dress, pretty for fall! You're rocking the 70s trend. Love the dress! I would love to know which brand/color of lipstick you're wearing! I've been looking for this exact shade for fall. Thanks! 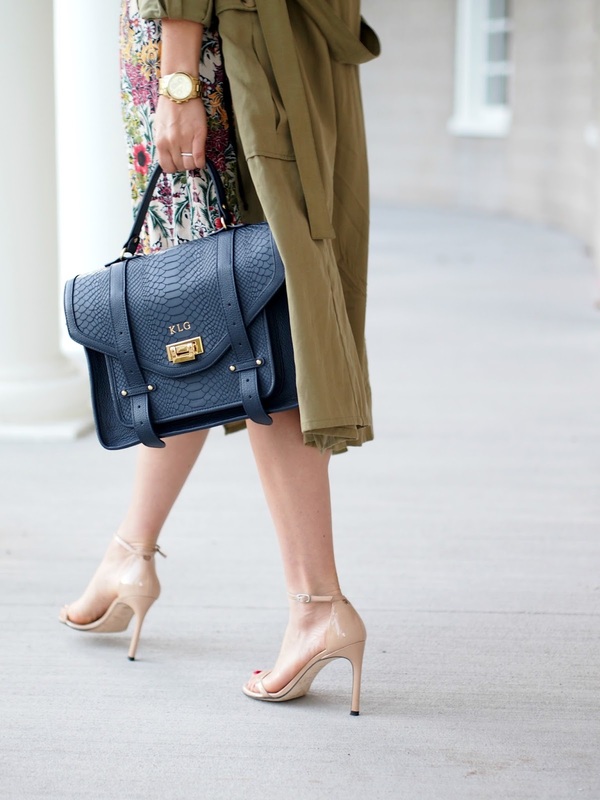 That trench and bag were the perfect addition to your dress! Fantastic trench and such a beautiful dress! 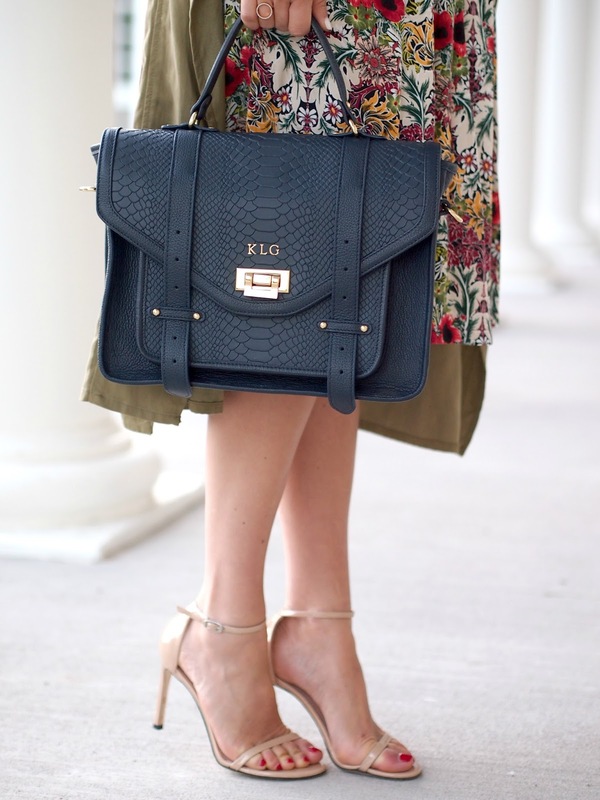 The floral print is very refreshing! 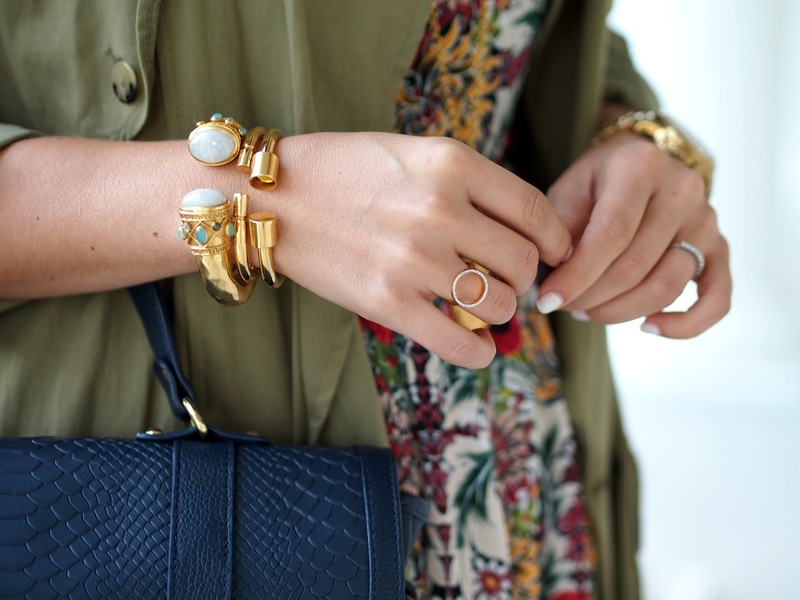 Fabulous combo, gorgeous from head to toe! I especially love the print of your dress and this light trench! Gorgeous dress!! Looks amazing with the trench!! That dress is so pretty! I love the print and love the mix of 70s & feminine of this look! What a great look, I love your hat and bag combo! how does the sizing run on this dress?